Viber, an app for free calls, texting and sending pictures, is very popular nowadays. If you use it to chat with friends or business partners, you’d better learn one or two ways to recover deleted Viber messages from iPhone or iPad since accidents are unpredictable. One is to make backup within the Viber app. You can restore lost Viber chats from Settings > Account > Viber Backup if you’ve scheduled Auto Backup or just do it manually; The other is to back up Viber along with all other data on iPhone via iTunes or iCloud. However, you may not know if the backup contains the lost Viber chats you want. What’s worse, you may not have any backup of Viber messages. Do not worry! There are two useful ways to recover deleted Viber messages on iPhone or iPad. 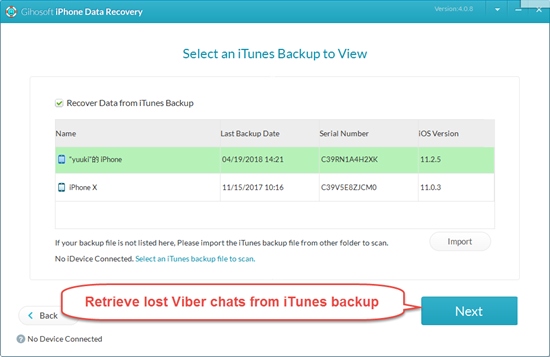 If you deleted iPhone Viber chats by mistake and have no backup, you’d better stop using your phone and seek help from Viber data recovery tool for iPhone as soon as possible. 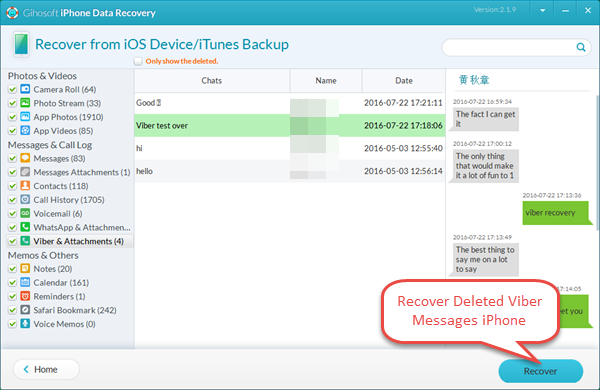 Gihosoft developed a professional iPhone Recovery software to easily recover deleted Viber messages from iPhone X, iPhone 8/8 Plus, iPhone 7/7 Plus, SE, 6S/6S Plus, 6/6 Plus, iPad Pro, iPad Air 2, iPad mini 4/2, etc. Simply download as well as install the software onto your computer, and then launch it. Step 1. Select “Viber & Attachments” for recovery. Step 2. Connect iPhone to computer and start scanning. Step 3. Preview the scanning result and retrieve deleted viber messages. Probably you would get nothing at all when you check on the Chat Backup inside the Viber app, but you can still check on your iTunes or iCloud if you back up iPhone regularly. For iOS users, iTunes or iCloud backup is a good place to restore Viber messages from if you have one, though you may be afraid of erasing current data on your device. To avoid directly restoring the whole iPhone, it’s highly recommended to use Gihosoft iPhone Recovery software, which helps you extract Viber messages from iTunes or iCloud backup easily. Simply install this Viber data recovery tool and follow these steps below to recover deleted Viber messages. Run iPhone Viber Recovery tool and select “Viber & Attachments”. Choose “View iTunes Backup” and select one to scan. 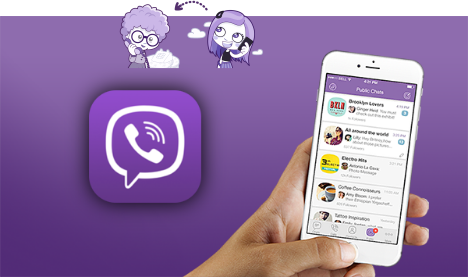 Preview recoverable Viber chats after scanning, and then recover them in one-click. Open the iPhone Recovery software, and pick Viber related items. Click “VIew iCloud Backup” shown next and sign in with Apple ID. Select the latest backup to scan, and preview the result after scanning. Restore Viber messages from iCloud to computer. Your recovered Viber messages will be saved in several readable formats for you to view or print out easily. 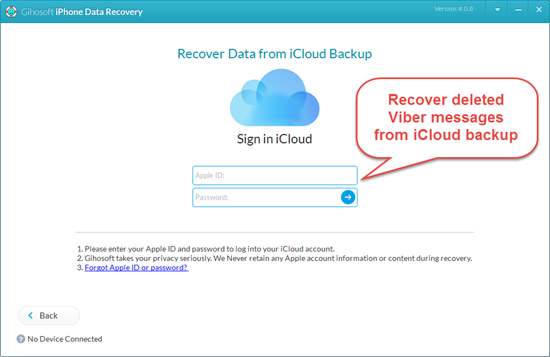 Or you can use this method to check if your backup contains the deleted Viber data, and then restore your device from iPhone backup accordingly. Besides, this iPhone Recovery program are also able to recover deleted iPhone WhatsApp messages, call logs, photos, videos, notes, etc.